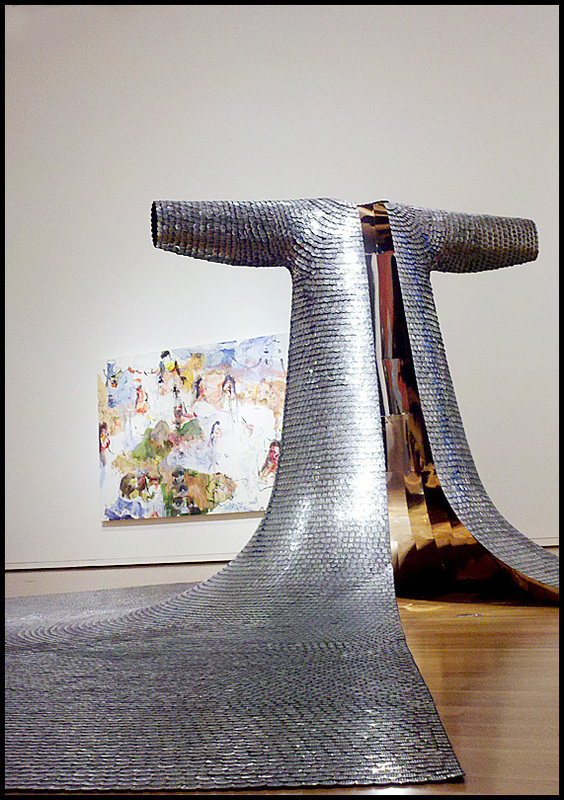 Last week, on my trip to Seattle, I visited the Seattle Art Museum (SAM) to view a Gauguin & Polynesia exhibit. I'm not much of a Gauguin fan but it was a nice show and I learned quite a bit. I do want to share something else from the museum with you. My daughter took us to see one piece she likes before going into the exhibit - "Some/One" by Korean artist Do Ho Suh. It's beautiful, almost regal looking, and takes up the better part of a room. This majestic silver metal coat gets even more interesting the closer you look at it. It is made from dog tags! Cool no? The photos were taken with a cell phone - best we could do. Don't forget to enter the chocolate giveaway! oh my ...that is sculpturally stunning...& emotionally moving. It's probably one of the only pieces I really love in the SAM. So neat! That is remarkable! I would liked to have seen that one in person. That is truly amazing. I would love to see that. Standing there must be incredible. At the U of A campus by the student center there is a sculpture that is like a tall wind chime... till you look closer and see it is a mast of a ship and the wind chimes are the remade dog tags of all the sailors killed on the USS Arizona. Very emotional every time I see it. 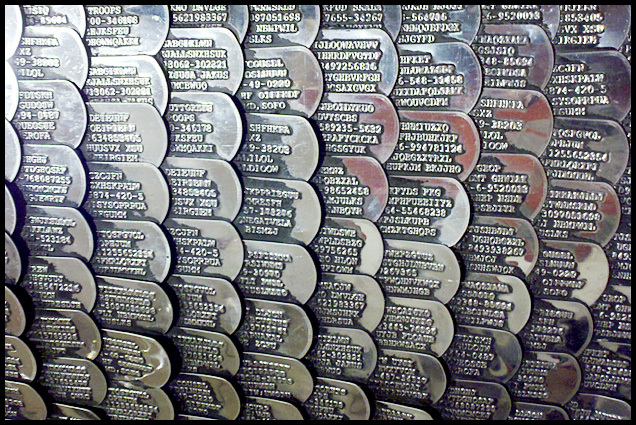 That is amazing that it is made from Dog Tags! I've seen that! I feel so cool and in the know! Yes - LOVE it - can certainly see why MJM does too! My reaction upon reading about the dog tags - a resounding "Oh wow!". As for Gaugin, I always think fondly of this artist not just because of his Polynesia series but because I once mentored a gifted 5yo who was fascinated by him but insisted that his name was pronounced Gorgin...cracks me up every time I see it written! How fantastic!!! I must get to a museum in my neighborhood soon!